Sergey Storchak is Deputy Finance Minister of the Russian Federation. He was appointed in November, 2005. He also represents the Ministry of Finance of the Russian Federation in the Plenary of the Financial Stability Board and has held the position of the co-chair of the RCG CIS since 2012. Sergey Storchak was born on June 8, 1954 in Olevsk, Zhitomir region, USSR. In 1981, he graduated from the Moscow State Institute of International Relations, specializing in international economic relations. He has candidate’s PhD degree in economics. 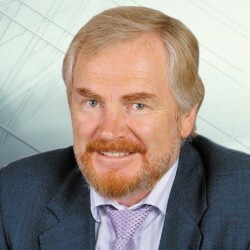 Sergey Storchak started his career as a research assistant, senior researcher at the Institute of World Economy and Foreign Affairs of the Academy of Sciences of the USSR in 1981. He left this position in 1988. From December 1988 to February 1992 he served as second secretary of the USSR Permanent Mission to the UN Office and other International Organizations of the Ministry for Foreign Affairs of the USSR. From August 1994 to April 1998 He served as Deputy Director of Department of the Foreign Credit and External Debt Department; Deputy Director of the Foreign Credit and External Debt Department of the Finance Ministry of the Russian Federation. From September 2004 to October 2005 he served as Director of the Foreign Finance Relations, State Debt and State Financial Assets Department of the Finance Ministry of the Russian Federation.